Why set up a company in Singapore, or Why not? At Flag Theory, we help you locate the best places to structure your business and your personal finances. We choose strategic jurisdictions from a holistic perspective that takes into account variables such as incorporation, business markets, taxation, intangible assets, residency and citizenship, which we refer to as Flag Theory; so that you can protect your business, and grow your wealth. This article details the pros and cons of setting up a company in Singapore. Singapore has enormous potential for startups and Internet entrepreneurs from ALL over the world. Singapore is one of the best places to start and grow a business. The country fosters entrepreneurship, and the government supports free market. 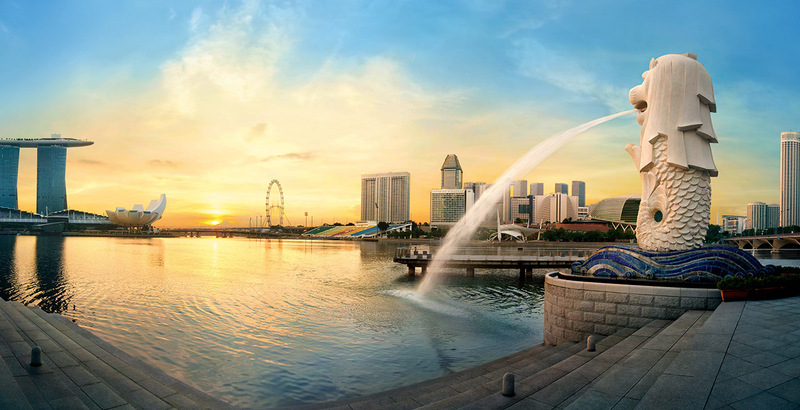 Singapore is the hub of Southeast Asia. Home to the busiest port in the world, Singapore is a developed country in one of the fastest growing economies in the world. Singapore values Entrepreneurs. It’s very possible to immigrate to Singapore and start a new life as an entrepreneur. I’ve done this, and I wrote about my experience with entrepass here. I have immense respect for the support the SG government gives to local SME’s and startups. Singapore is a great place to start a business. One of the most advantageous parts of doing business and setting up a company in Singapore is the clear and transparent tax scheme. 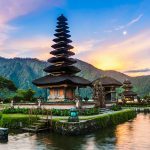 Singapore has a remittance-basis tax regime, which means that (in general) you’ll only be taxed on business income that is remitted to Singapore. This means that if you have a bank account in Singapore for your Singapore company you will most likely be liable for local taxation. This is one reason why entrepreneurs seek out Singapore banking with a BVI or Nevis entity. This is a highly useful set up as there are very few company reporting requirements and Singapore banking is very secure. 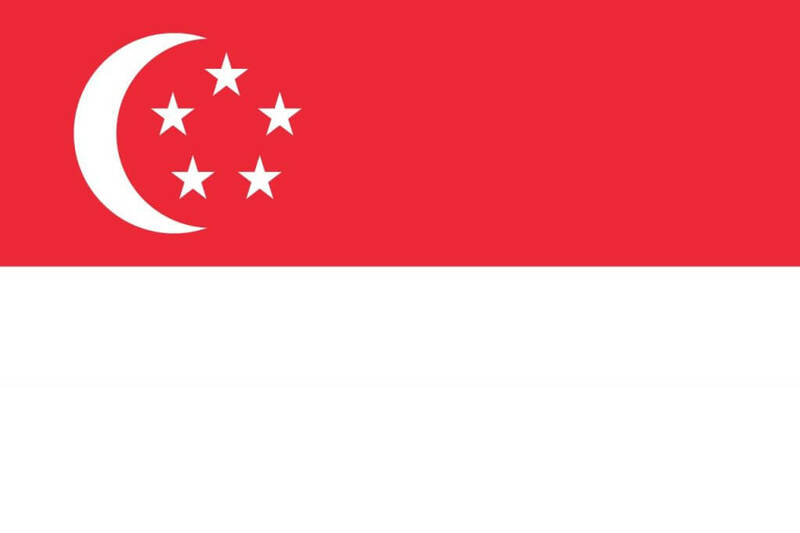 At Flag Theory, we can lead you to open a bank account in Singapore. The most common business entity in Singapore is the “Private Limited Company“, often shortened as Pte. Ltd. Setting up a company in Singapore may be attractive if you are an entrepreneur seeking venture capital (outside of Silicon Valley). Venture Capital and Players with Money. There is obviously no shortage of people with cash to invest in Singapore. There are many different government grants, incubators, accelerators, private equity funds and banks who can provide financing for your business at every stage of development. Financing is a core component in any business, and Singapore provides the best alternative investment market in the entire world. 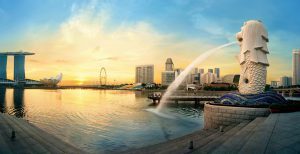 The government and private enterprise are brilliantly attempting to make Singapore the leading country in the world for startups looking to expand with equity financing. Courts in Singapore are under common law jurisdiction, with courts that are known for being speedy. Compare this to another major sourcing country in the region, the Philippines, which has painfully slow processes on court proceedings, or other countries such as China, Thailand, etc. which are not common law, and documents are not written in English – foreigners may experience difficult dealing with local authorities or court proceedings For entrepreneurs who want boots on the ground sourcing from the vast resources of Southeast Asia, the Singapore court system can give you a confident backing for hiring, clear laws, and a good government with low corruption levels. Why you wouldn’t want to set up a company in Singapore? A Singapore resident director is required and this largest contribution to the cost of set up. Income remitted to Singapore is taxed at a 17%. You can basically forget about venture capital if you aren’t willing to at minimum establish a local headquarters. Any type of high-risk risk business models are not acceptable. Here is some more information about setting up a company in Singapore and obtaining and entrepreneur visa ‘EntrePass’, opening a bank account in Singapore as an American what it’s like to live and invest in Singapore city and consult Singaporean Corporate Legalities and Tax Scheme. We can set up your company in Singapore, or open your bank account. Join our mailing list or contact us and we’ll send you more information.